Info: A lowtop spin on Michael's shoe shoe as he carried the Bulls to a NBA record 72-10 season in 1996. 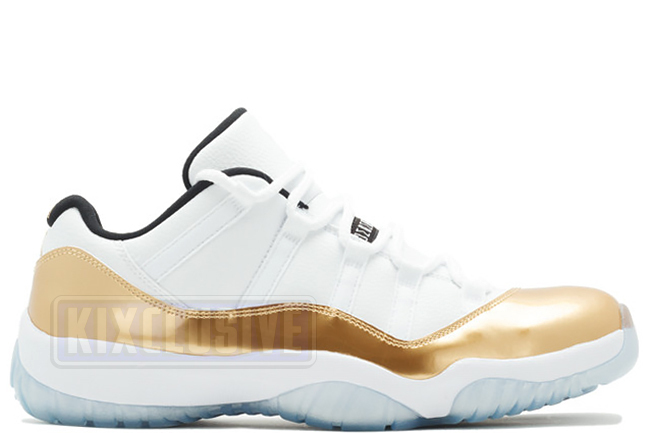 This colorway commemorate the 2016 Olympic Games with metallic gold patent leather wrapping the shoe and an icy translucent sole. August 2016 limited release.